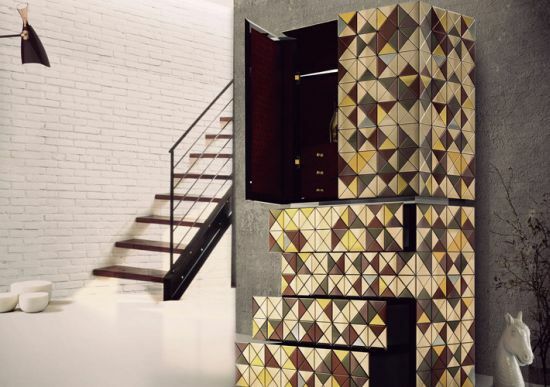 This exquisite furniture is created by Boca Do Lobo. 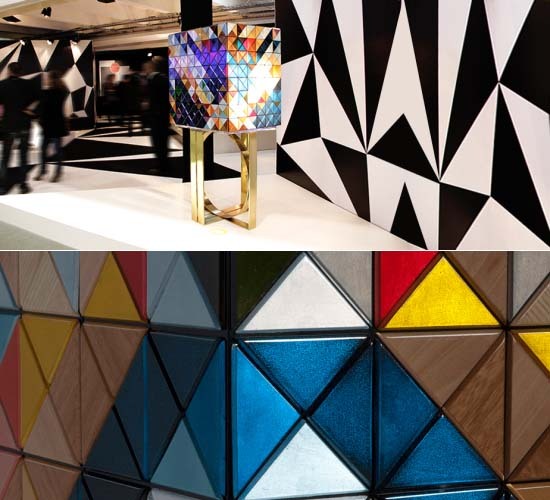 The Pixel Anodized Cabinet and Pixel Cabinet, are two amazing pieces of art that combine our two favorite things: geometric shapes and Art Deco design. These amazing pieces of furniture would not only look magnificent in any home, but they would add a huge wow factor to home décor: we are completely smitten. 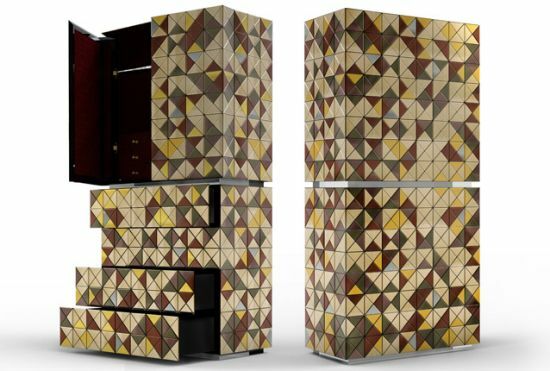 The Pixel Anodized Cabinet is eighty one centimeters wide, forty one centimeters deep, and one hundred and sixty six centimeters tall. It is composed of one thousand six hundred and sixty four triangles, aluminum, gold, and acrylic, and it is positively stunning. We adore the beautiful shapes and the warm colors used in this outstanding design. The rectangular shape of the Anodized cabinet is fabulously sleek. 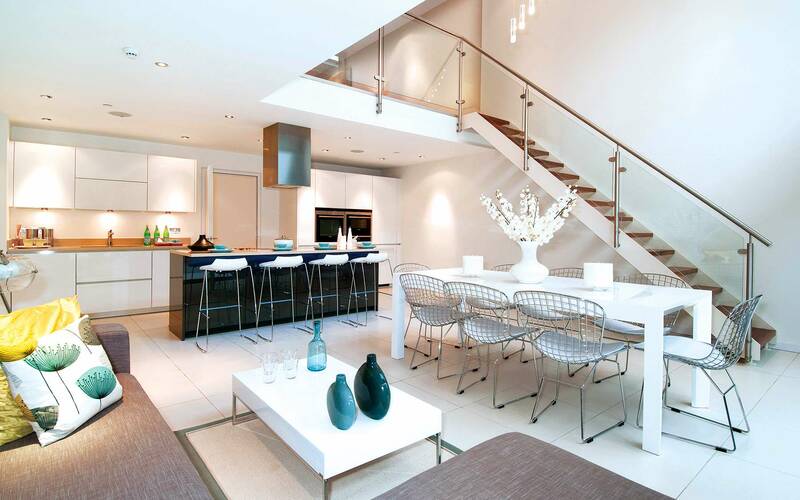 In the middle, a polished acrylic panel divides it in half, creating two different storage areas. The top has two doors that open up to multiple drawers with glamorous gold handles. The gold and silver on the inside is marvelous, it gives the cabinet a bit of an antique feel. The bottom of this exquisite furniture opens up into four drawers. We love how hidden the drawers are, when the cabinet is closed, you can’t even tell that they are there: positively beautiful. 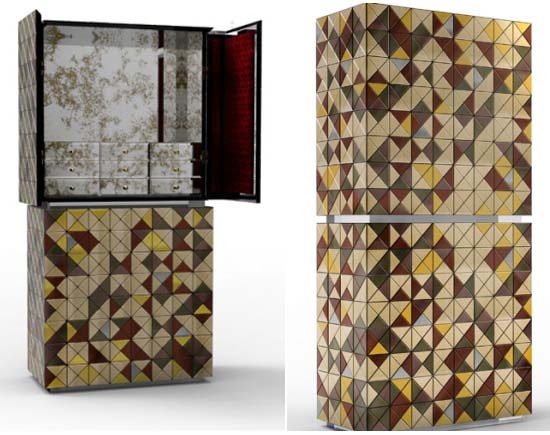 Our favorite, the Pixel Cabinet, is composed of one thousand and eighty eight triangles, silver leaf, gold leaf, lacquering, and ten different types of wood leaf. 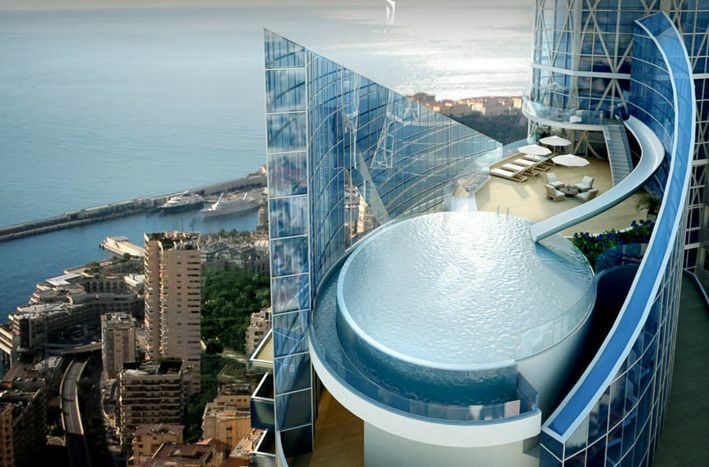 It measures eighty centimeters wide, sixty centimeters deep, and one hundred and sixty three centimeters tall. The gorgeous doors open and reveal a beautiful blue silk fabric and nine drawers, complete with gold knobs: simply stunning. The legs of this exquisite furniture are delightful with their striking squares and the captivating circle. The bold colors are truly spectacular. How amazing would it be to have one of these decorating your home?